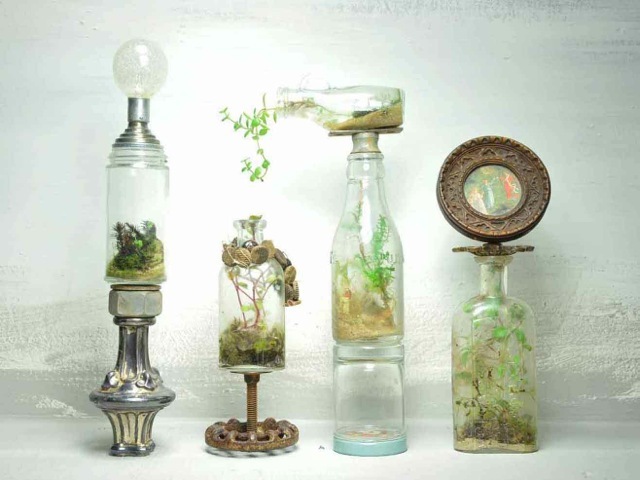 In Victorian times Dr. Nathaniel Ward brought the art of Terrariums to the homes of England. 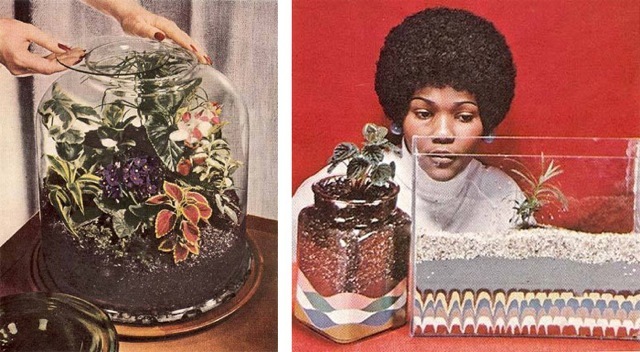 These miniature greenhouses known as “Wardian Cases” were a “must have” decor item for anyone who wanted to grow exotic plants in the chilly climate of London. 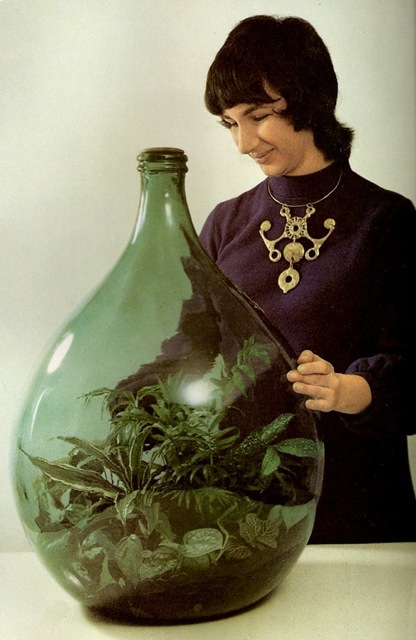 The practice gained unprecedented popularity in the 1970s as amateur botanists grew indoor gardens inside giant wine bottles and other large and interesting glass containers. Better yet they fashioned their gardens into lamps, coffee table bases and hand-crafted,hanging sculptures of art. Large bottles and other glass containers were used to house the indoor gardens. 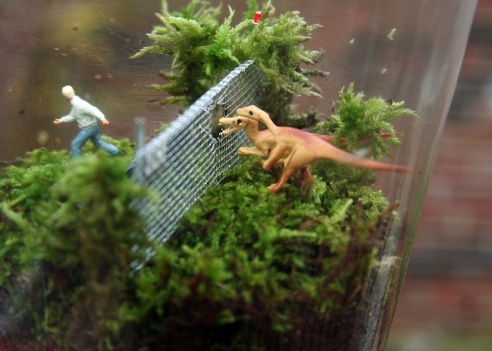 Today Terrariums are making, yet another comeback. 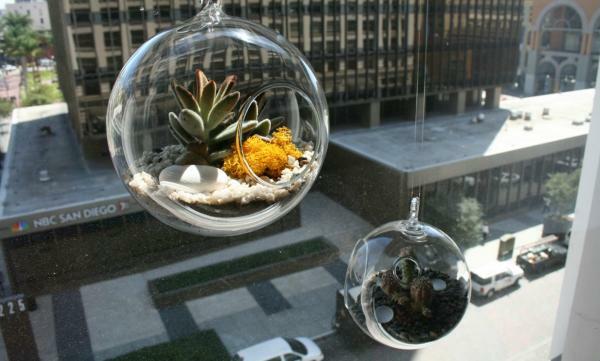 These mini ecosystems are an excellent way to bring the outdoors in. They can become an object of curiosity for the kids or an eclectic statement to the decor of any room. In an urban city loft they are a beautiful way to add a link back to the natural world. Make one with your kids and have fun with it! 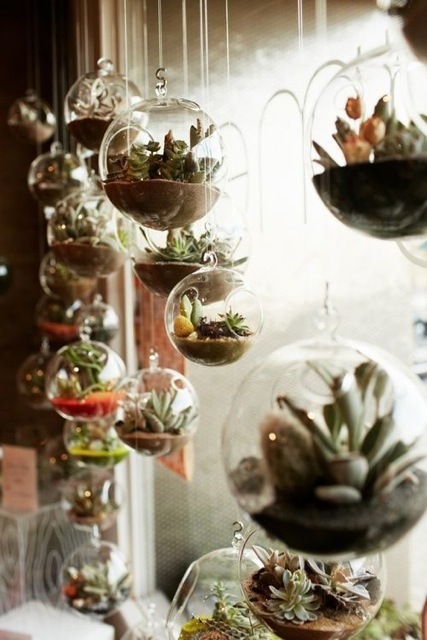 Terrariums bring the indoors out in urban environments.